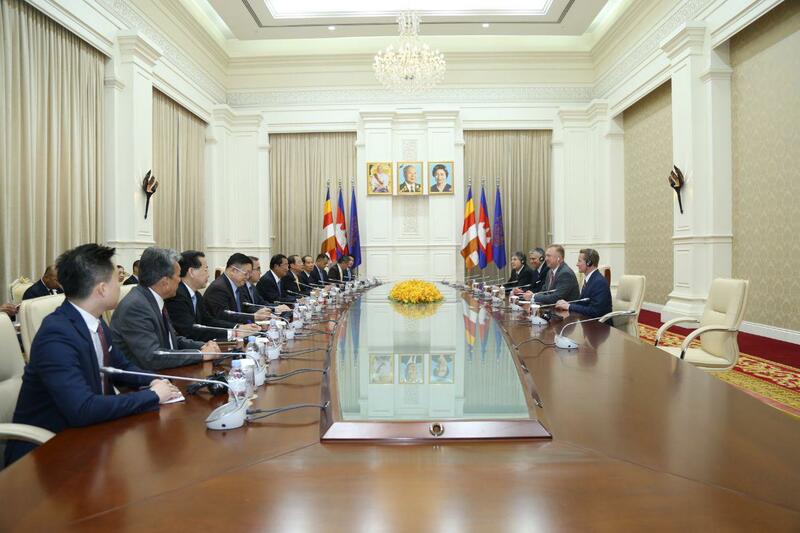 Phnom Penh (FN), May 7 – U.S Senator Doug Ericksen of the Republican in Washington State announced that no countries in the world could order Cambodia to do anything as a sovereign state; Cambodia chooses her own path and determines the destiny for the nation and people. 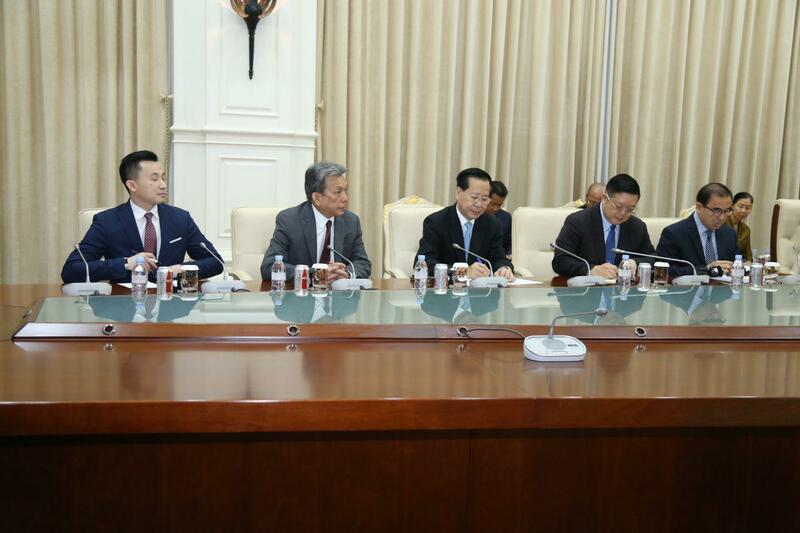 The statement was made when the senator met with Prime Minister Hun Sen on Monday at Phnom Penh’s Peace Palace. 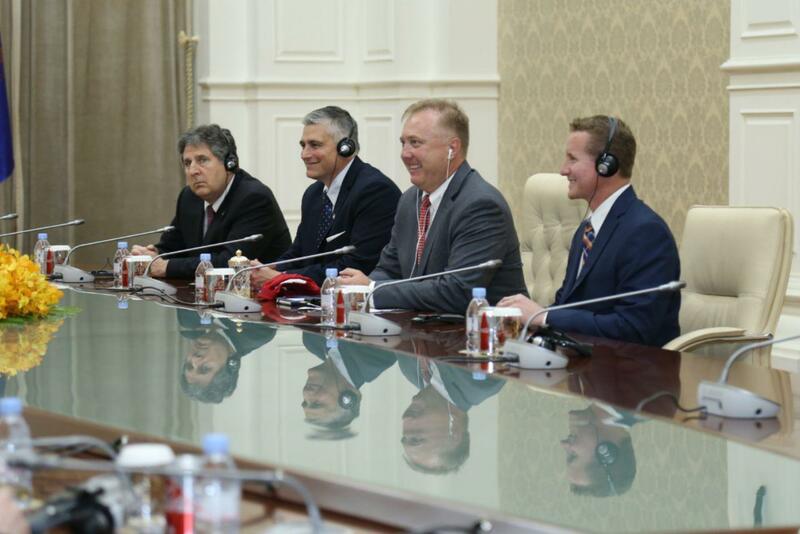 U.S Senator Doug Ericksen stressed that he wants to see Cambodia-U.S relation and economic cooperation strengthened and stronger people-to-people ties despite the only 16 million Cambodian population. 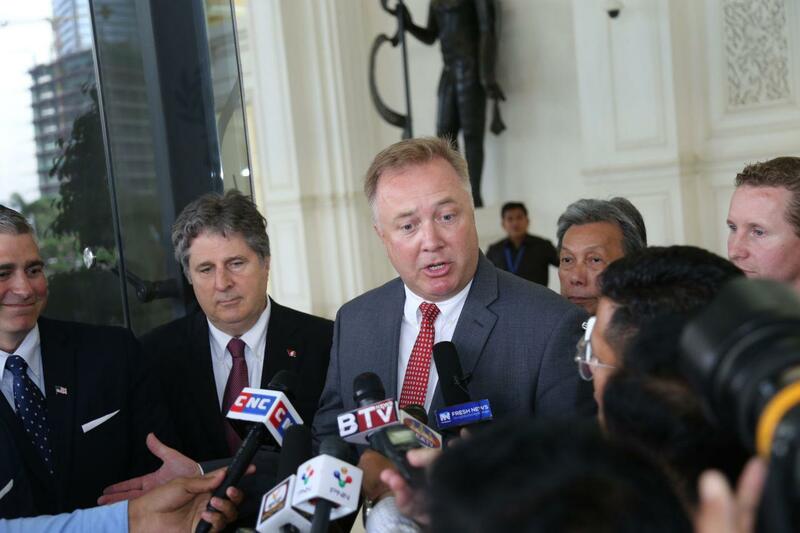 Doug Ericksen recognized Cambodia’s rapid economic development, thanks to the leadership of Prime Minister Hun Sen. 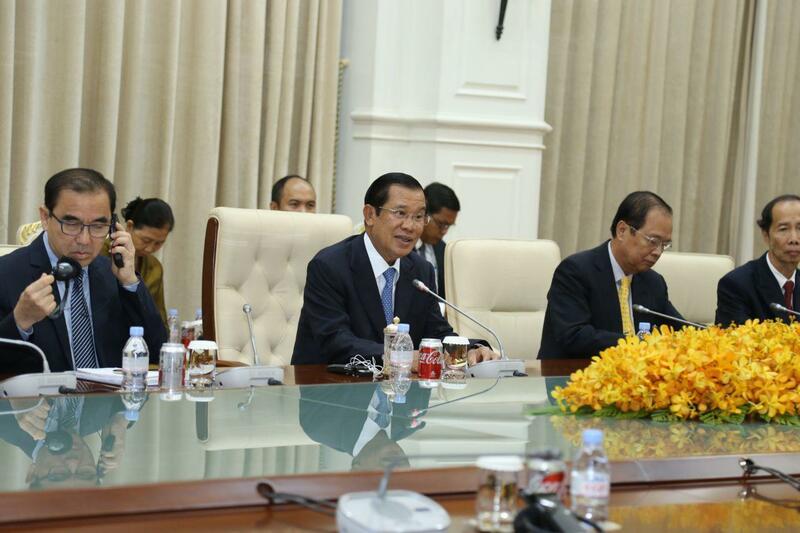 The premier thanked Doug for mentioning the reality of Cambodia. He stated that Doug and the President of the United States clearly understood the reality of Cambodia.